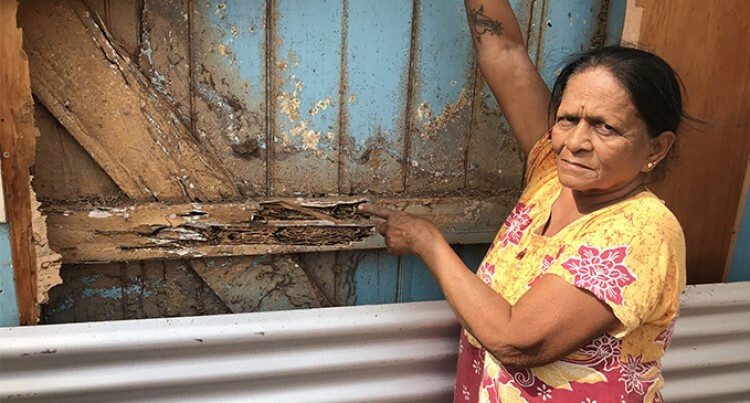 A family in Drasa, Lautoka, have likened the termite infestation on their home to after a fire. Indra Wati has been living in her home in Drasa, Lautoka, for the last 55 years. But in that time, she has never witnessed a drastic termite takeover of homes such as the one right now. The 70-year-old said: “We lost our entire house due to the termites.” She pointed to what’s left of her home. Beside it, she has slowly built a concrete home that would enable her and her family to live in peace. “It becomes very difficult for us to demolish our infected house and rebuild another one,” she said. The family of six are currently staying in the same house as repair works continue. Her daughter-in-law, Achal Chand, said that it had become really tough for the family financially. “My husband works on the construction of the house in the weekends when he has time,” said Mrs Chand. Mrs Chand also becomes a helping hand to her husband in rebuilding their home. She said that they had recently furnished their house but that had all come to waste. “Furniture, including the drawer, cupboard and the sofa was also destroyed by the termites. It’s equal to our house being on fire,” she said. She said the dust and dirt residue have also been common. 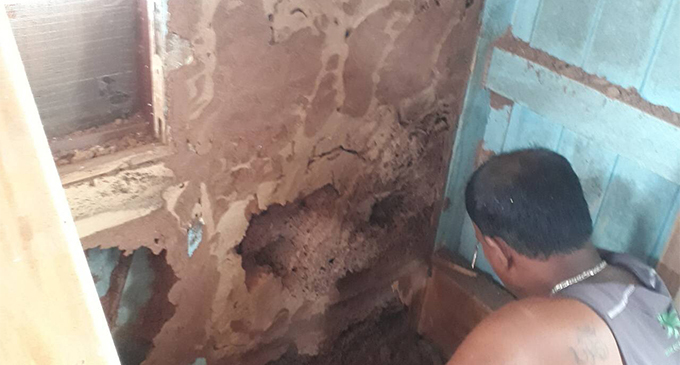 The infestation comes as the Biosecurity Authority of Fiji (BAF) has declared Lautoka as an emergency area because of the Asian Subterranean Termites (Coptotermes gestroi). BAF said that the transfer of the Asian Subterranean Termites (Coptotermes gestroi) including eggs within or out of the declared biosecurity emergency area is strictly prohibited. AST is the second most destructive sub­terranean termite in the world.